Generally speaking, we’ve seen in a trend where the forest industry has made big bucks on paper for the crapper while timber has been step-motherly cut in bulk, with numbers in the red. 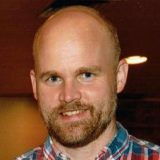 We have brought this up on numerous occasions – our area (Nordic) is too small to compete in bulk on the world market, and to lower the age for final felling and fertilize could be a motto from the pulp industry that could harm the industry long-term. I’m not saying that this is the case, but this is something that we’ve been discussing on and off. 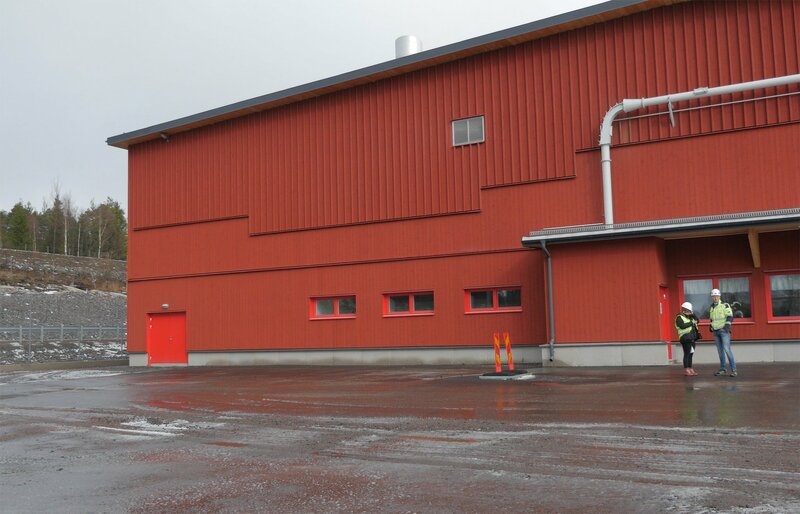 The new CLT factory in Grums, Sweden. Today we were invited by Stora Enso to a press showcase of the new CLT factory in Grums, Sweden, located next to the Gruvön sawmill. My thoughts were bouncing back and forth regarding what questions to ask; the quality demands on the timber, will it fall now that what has been sawed can be glued together? That was one question that popped up. But oh how wrong I was! And no one is more thrilled than I am. Read on and I’ll try to render the visit. CLT stands for Cross Laminated Timber. 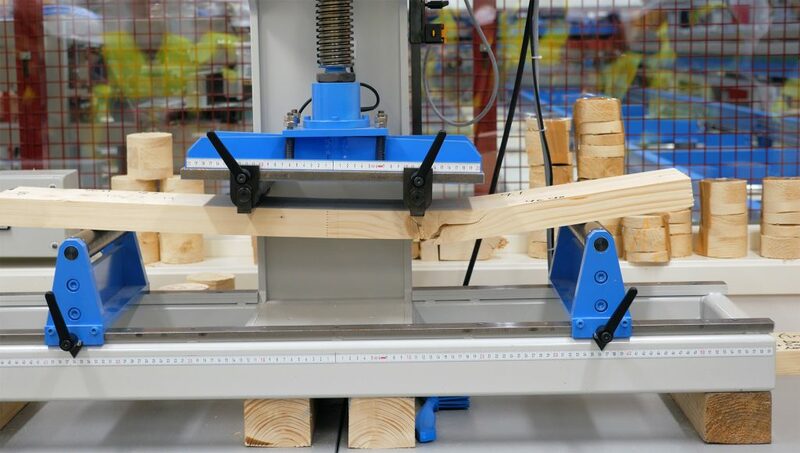 Boards are placed adjacent to each other and are glued together to build platforms, which in turn are glued together with a 90-degree offset, meaning that the first layer will run along the width of the second layer. The result is a strong wooden product which can have pretty much any shape desired. Today, CLT is up-and-coming and the reason for this is that the product can replace concrete walls and floors in prefab constructions. General facilities, schools, apartment complexes, sports facilities and industrial buildings are currently being built using 90% concrete for the base, but now there’s a trend to move to renewable resources and this is where CLT enters the frame. A pre fabricated wall in CLT. 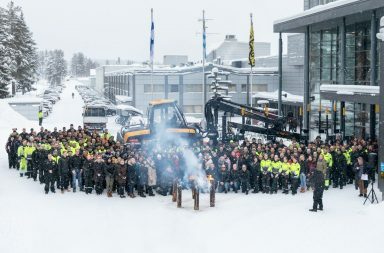 In 2017, Stora Enso made the decision to build a CLT factory in connection to the sawmill in Gruvön in Sweden. 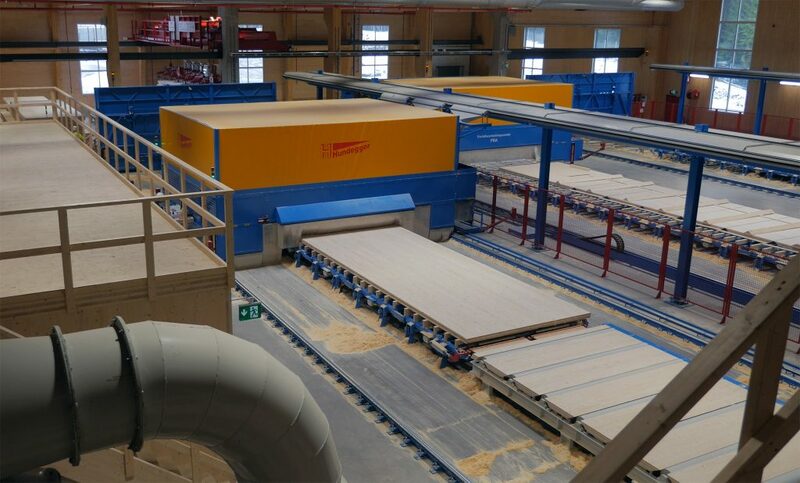 Now, the factory has been built and despite a lot of trimming still being needed they are already delivering CLT to external customers. The official opening is on May 28, 2019. The CLT factory in Grums will, according to Stora Enso, be on of the world’s largest and most modern factory to produce CLT. 100,000 cubic meter of CLT per year is the goal, all in customer-adapted building blocks that can be made up to 16 x 3.5 meter with a thickness of 1 to 4 decimeter. Translated into apartments, Stora Enso can deliver material for 4,500 apartments per year from their new factory in Grums. 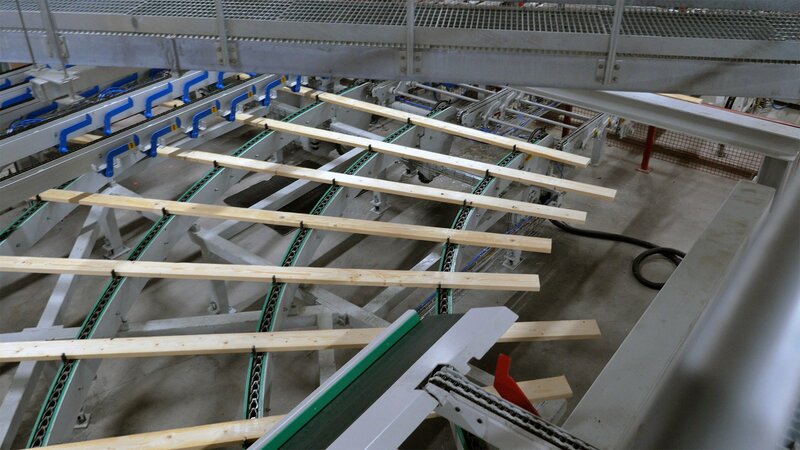 The investment has cost half a billion SEK, or over 50 million USD, and is the third CLT factory by Stora Enso. The two previous ones are located in Austria and these are the ones that have delivered the foundation for the factory in Grums, with a total of 3,500 cubic meters that have been transported to Grums by train. 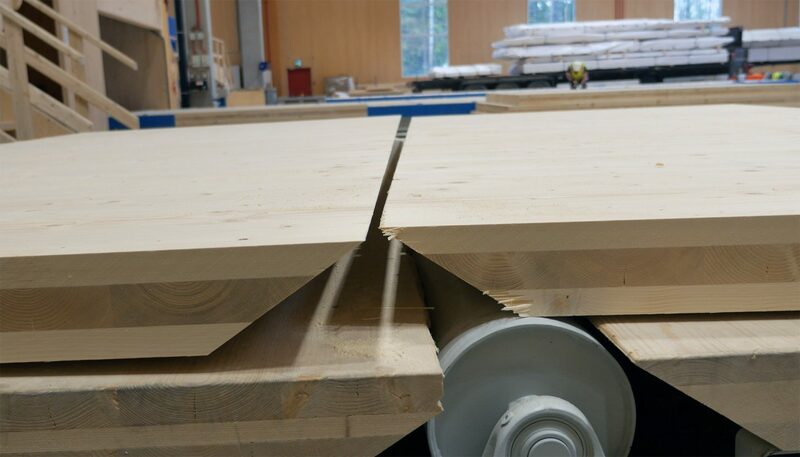 The 13,000 square meter factory was built in a record time of 10 weeks, and this is one of the primary advantages of CLT – it’s up to 70% faster to raise buildings with a cross laminated timber foundation compared to a concrete foundation. 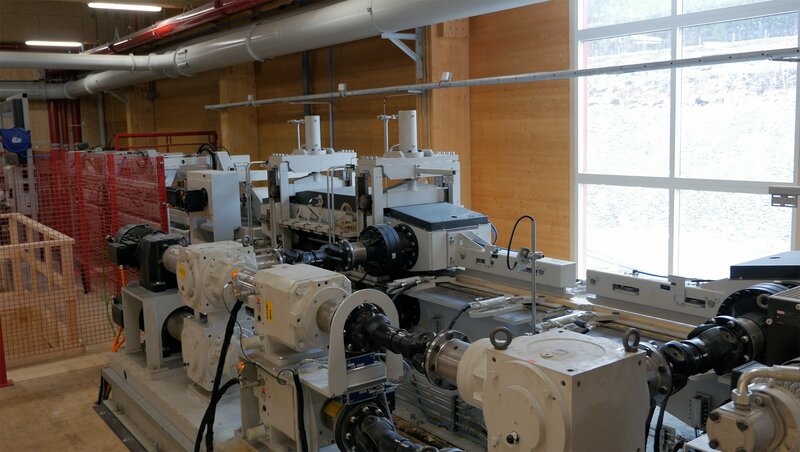 The decision to place the new production in Grums was an easy one for Stora Enso. The city has a history in timber going as far back as the time as 1882, as well as competent staff at the sawmill. There’s a harbor in direct connection that can handle ships of up to 50 meters, and great train connections as well as direct connections to E18 (Highway). 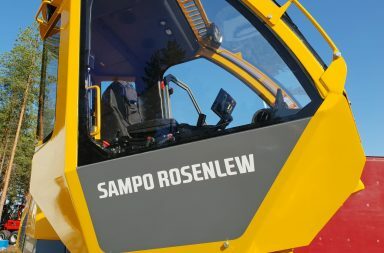 Raw material is also available in abundance as the sawmill, owned by Stora Enso, has an environmental certificate to produce nearly half a million cubic meters of sawn material each year. 110 people currently work at the sawmill and 60 new employees are being recruited to the CLT unit. The investment in CLT means that Stora Enso as a company will be competing with the concrete industry, primarily in prefabricated houses. 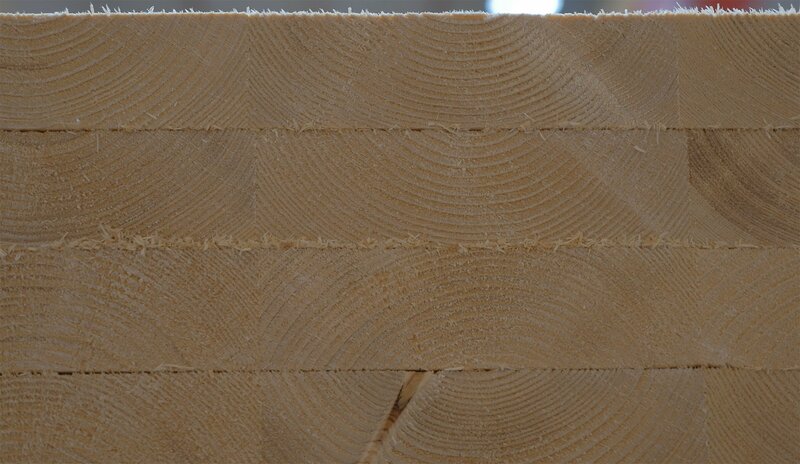 CLT is a complement to sawn timber as it can replace the concrete framework of a house. 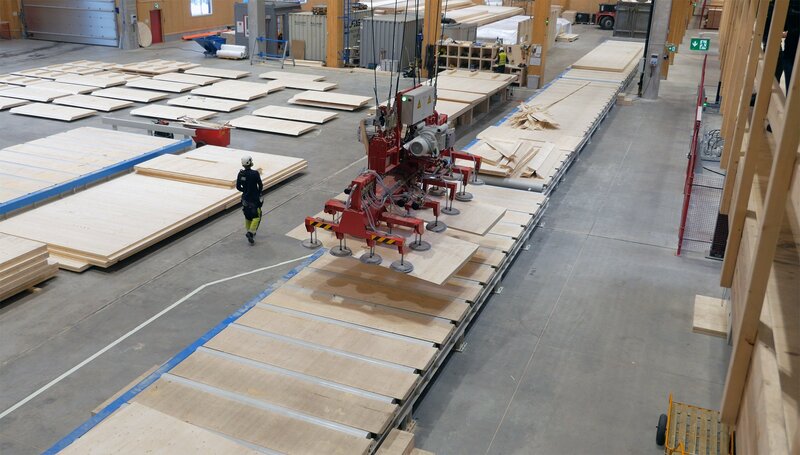 Through this, a new business model also emerges as Stora Enso sells unique, customer-fitted CLT to construction companies. That’s a pretty big difference compared to sawn timber, which is often sold through a middle man. Stora Enso also carries 10 years of experience of this model through their Austrian factories. If you add the positive aspect of the product being renewable, things are looking pretty bright. 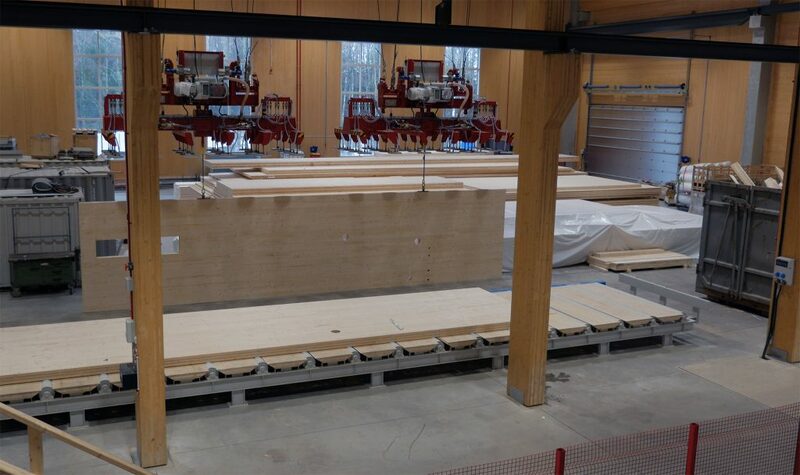 The CLT factory will be the largest customer of the sawmill in Gruvön. All raw material is being prepared at the sawmill right next door. Around six years ago a decision was made to add pine trees, on top of spruce trees, to the sawmill. With the CLT factory, this era comes to an end and the sawmill has returned to working exclusively with spruce trees. The reason is, as you might have guessed, that CLT from Gruvön is based on 100% spruce. Even more interesting is that CLT requires a relatively high quality of the sawn material – at least C24. This was something new to me and it means that spruce primarily of class 1 will be of interest as CLT. High quality spruce as raw material. This is interesting and positive news. 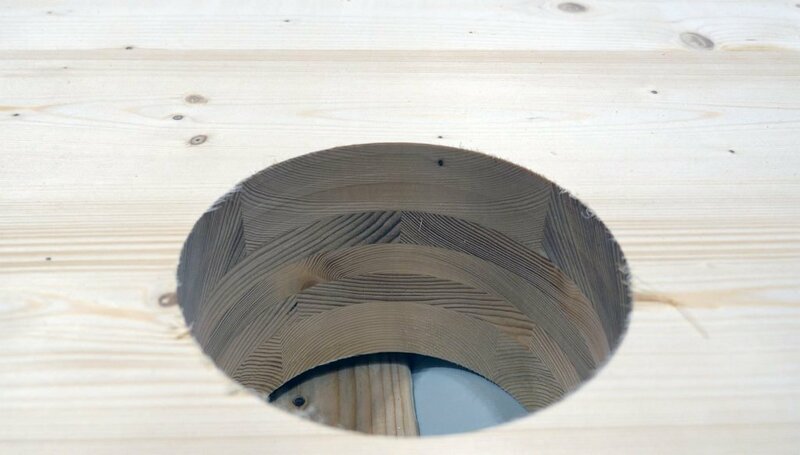 CLT simply has such high demands on it in terms of quality and strength that the raw material has to be of a high quality too. Perhaps CLT will be what finally brings a focus back on producing high quality timber in the forests? 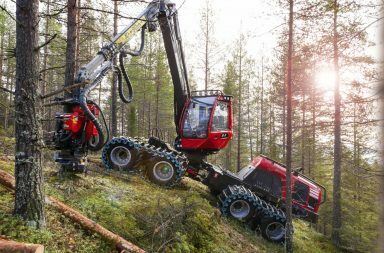 According to Stora Enso the production line will be finetuned for some time and they are not yet able to answer whether it will have an effect on the forest owners, for example in terms of prices and the length on the timber. It probably won’t and if changes happened, they would be marginal. 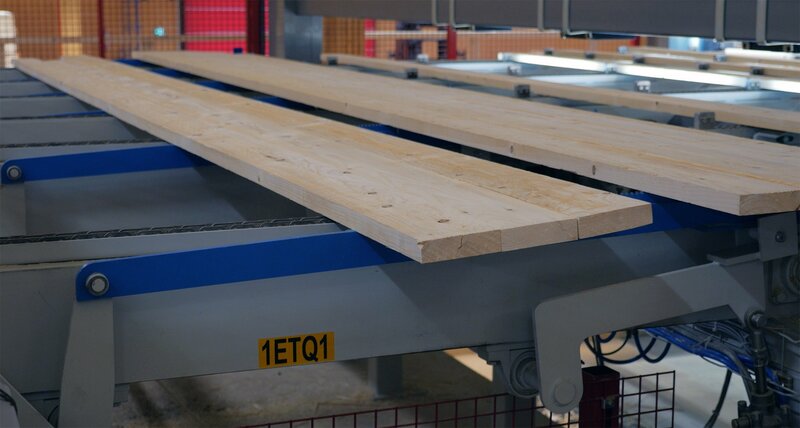 In short, all sawn timber are provided directly to the CLT factory by the drying facilities of the sawmill. From the factory, the material is planed (if it hasn’t already been done by the sawmill) and then finger jointed to increased lengths. After the finger jointing they are stacked in “platforms” and glued together in multiple steps, which also includes cross laminating the “platforms”. Spruce ready to be glued together. Then, the units are pressed in a hydraulic press and the result is raw CLT units that are ready for the CNC-machine. In this machine the edges receive a touch-up, and in the same step holes for windows, doors, electric cabling, etc. are cut out. The final product is then packaged and sent to the customer. Considering that the quality requirements include that the product must maintain a certain durability for 50 years, multiple tests are run on the raw material daily, including breaking-tests of finger joints. Strength test. It broke at 1,2 tonnes of pressure. Part of the finger jointing process. It’s simple to adapt the product for customer needs. Here is a hole, maybe for ventilation pipes. The production line is highly flexible as we’re talking about unique customer orders. In theory, anything from small cubes of 1 x 1 x 1 decimeter to a house wall of 16 x 3.5 meters can be delivered, but also special setups as the CNC machine can 3D cut basically anything from a CLT block! There’s a fair bit of leftovers from the planer and CNC machines. All this is taken care of by a division process that turns everything into fine wood chips. This is then transported to the pellet mill. As the wood chips contain glue they can’t be sold to private individuals, but they can be used for industrial pellets. In summary, things are looking bright for Cross Laminated Timber. Considering the environment, it’s easy to go for wood over concrete and in the long run this might put more focus on the forest as a resource. Overall, it’s great that the forest industry has found a high-quality product than can compete on new markets and which is renewable! On a side note I can also add that this was the nicest industrial visit I’ve been on so far. A lot of wood creates a nice and warm atmosphere and it’s my guess that the new staff will love it there!